Deduction vs Investigation: How the police really solve crimes. The team from Think Forensic explain the difference between deduction and investigation and why in real life cases Sherlock’s intuition would not be enough to put a criminal behind bars. Was Sherlock Holmes such a great detective? Where’s the evidence? Fictional crime, whether brought to us in fiction or our favourite TV dramas, forgoes reality for entertainment more than you may realise. The team from Think Forensic explain the difference between deduction and investigation and why in real life cases Sherlock’s intuition would not be enough to put a criminal behind bars. Whether starring Sherlock Holmes, Hercule Poirot or Inspector Morse, fictional plots are created - and centred - to dazzle the reader or viewer with the detective in question's deductive talent. The character is often confident, suave and able to see everything that others miss. With their trusty sidekick in tow, they know who the killer is whilst everyone else is still getting to grips with the crime scene. This portrayal of how a crime is solved could be quite insulting to real, serving police officers and detectives. 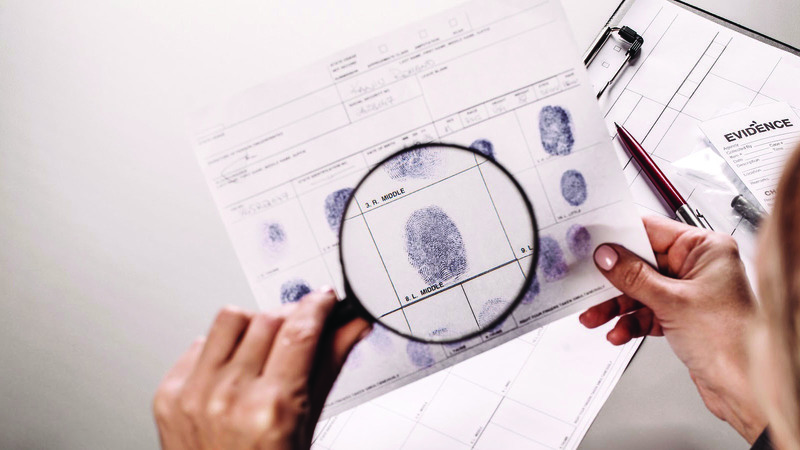 There are often hundreds of people working on a major crime, including the officers attending each crime scene and gathering evidence, to the numerous clerks and administrators, the solicitors and judicial staff, and many more. Yes, there can be one Senior Investigating Officer, overseeing everything, but they may never even visit the scene of the crime, relying only on photographs taken by others. Unlike in fiction, there is never just one scene of crime either. From the way from our favourite crime stories portray it, you could be forgiven for thinking that the only crime scene is the place where the body is found, but it doesn’t necessarily mean the victim was killed there. If they were killed elsewhere, that becomes crime scene no.2. The murderer must have used a vehicle of some sort to transport the body from crime scene 1 and 2; this itself becomes crime scene 3. The suspect, with all the evidence he’ll be carrying around on his person, would be crime scene 4, and his home, crime scene 5. The victim is crime scene no.6; the suspect’s place of work may be another and this list can go on. Each one of these ‘scenes’ will have its own team of investigators to ensure there is no contamination of evidence. That’s the key thing in crimes: evidence. Sherlock may be able to look at ‘someone of significance’ and know he’s having an affair with a 5”4 blonde woman (possibly our victim), because of a hair he’s spotted on his shoulder, but does our brilliant detective stop to put on gloves, take out an evidence bag, and preserve what he’s seen? No, he just runs out with Watson and jumps in a taxi – on to the next case. So how does Detective Lestrade bring those criminals to justice and turn deduction into evidence? What does he present as evidence in the case: Sherlock’s brain? Of course not. He and his extensive team carry out the real graft. Here lies the difference between deduction and investigation. In fiction, it’s the former that makes compelling reading and shows us the inner workings of our favourite detectives. But in real-life, deduction tends to only be half the story, if necessary at all. It’s real, tangible evidence that actually puts people behind bars. Think you'd make a good detective? Join us for The Forensic Experience at this year's Theakstons Old Peculier Crime Festival in Harrogate and put your deduction skills to the test. Find out more, and book your tickets to The Forensic Experience here.